This is the third pancake recipe I’ve posted and I think this is the one I’m most happy with. I don’t really have the knack of making those beautiful, fluffy, American style pancakes that appear on my Instagram feed and I’m pretty envious of those who have it! However I was pretty happy with how this dairy free and egg free batter turned out. 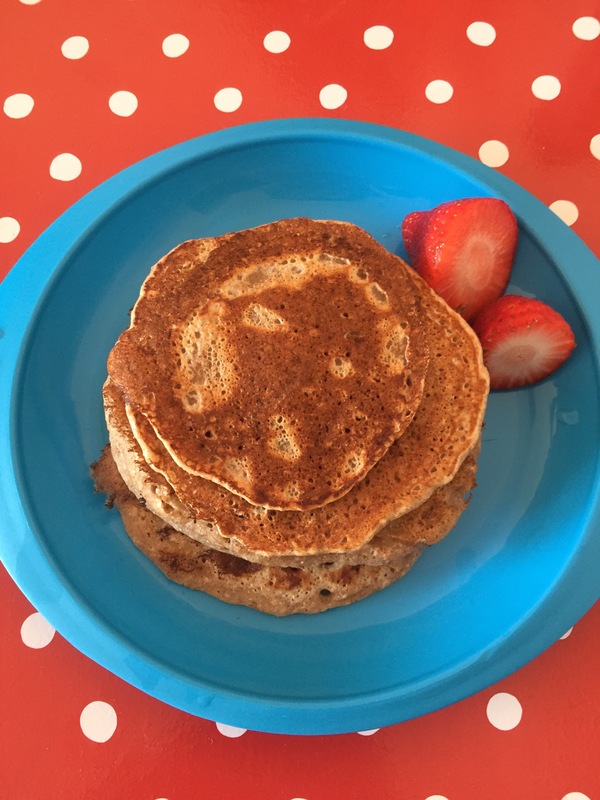 Like in my previous pancake recipe I’ve posted, the sweetness comes from the banana rather than refined sugar and the banana also acts as an egg replacer. This does change the texture and consistency of the pancakes but they’re still tasty! You can find the recipe for sweet potato pancakes here and the banana and oat pancake recipe here. In a large bowl, mash the banana until almost smooth and pour in the milk, combining together well. Add the dry ingredients to the wet and whisk together until fully combined. Heat a non stick frying pan over a medium heat. Lightly grease the pan with you choice of oil. I would avoid anything too strong tasting. Once the pan is hot, add a ladle of the batter to the pan to form a circle. Cook for a couple of minutes on one side before flipping. Wait until bubbles appear before turning. Cook for a few more minutes until golden in colour and springy. Remove from pan and place on a warm plate. Repeat until the batter is used up. My tip: don’t use too much oil. My first couple ended up in the bin as I had the heat up too high and used too much oil. Burnt and oily is not yummy.